The wedding day is the biggest day of a girl’s life. 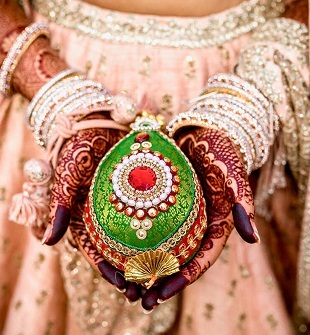 Every girl has dreamt of looking the most beautiful on her wedding day. The beautiful bridal lehengas, the cocktail dresses, the footwear, the jewellery and the bridal sarees. Everything is so fascinating about the Indian weddings. 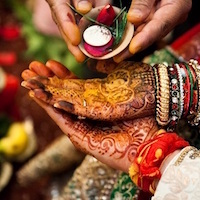 It is a three-day affair with so many rituals, ceremonies and functions. The bride always has a new outfit for every function and ceremony, obviously, she won’t be repeating outfits at her wedding. Generally, the brides are asked to wear a red or a yellow saree during her pheras. There are so many beautiful and elegant bridal sarees to choose from. Selecting the outfits is surely one difficult task. 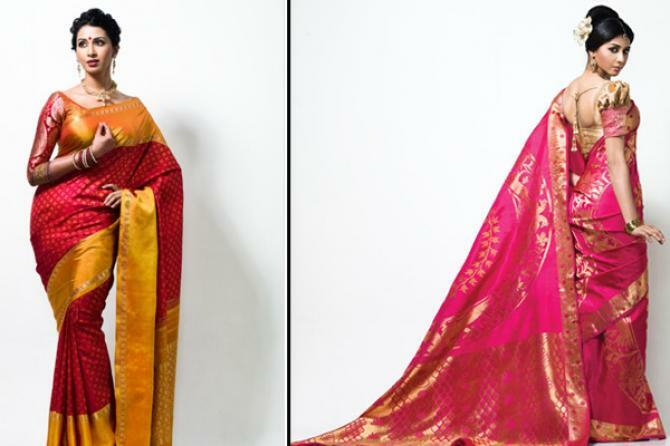 Here we have listed some of the most beautiful sarees to make your work a tat bit easier. Kanjivaram sarees are the epitome of South Indian culture. Nothing can beat the elegance of pure silk Kanjivaram sarees. A bride would look too beautiful in the Kanjivaram bridal sarees. It depicts the culture and the beauty at the same time. The Banarasi sarees are one of the most sought-after and popular bridal sarees. 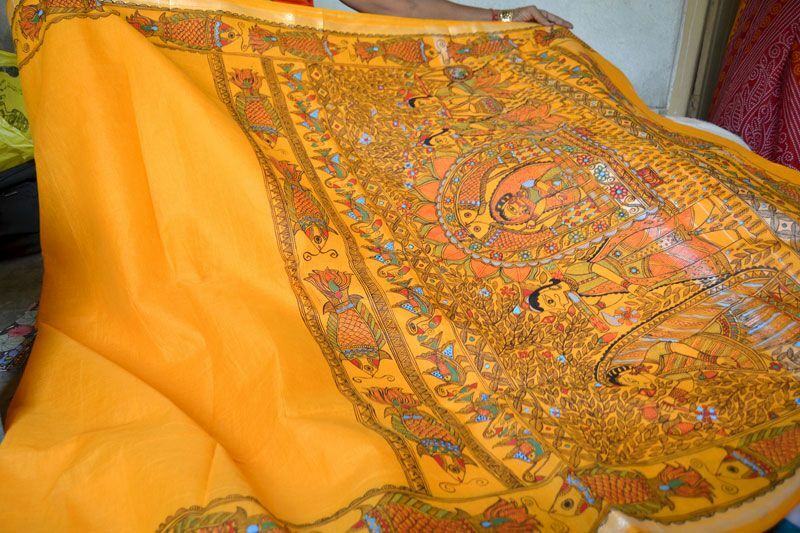 Banarasi sarees are famous not only in our country but all over the world. People completely love the elegance of the Banarasi saree. A bride would look her bridal best in these sarees. 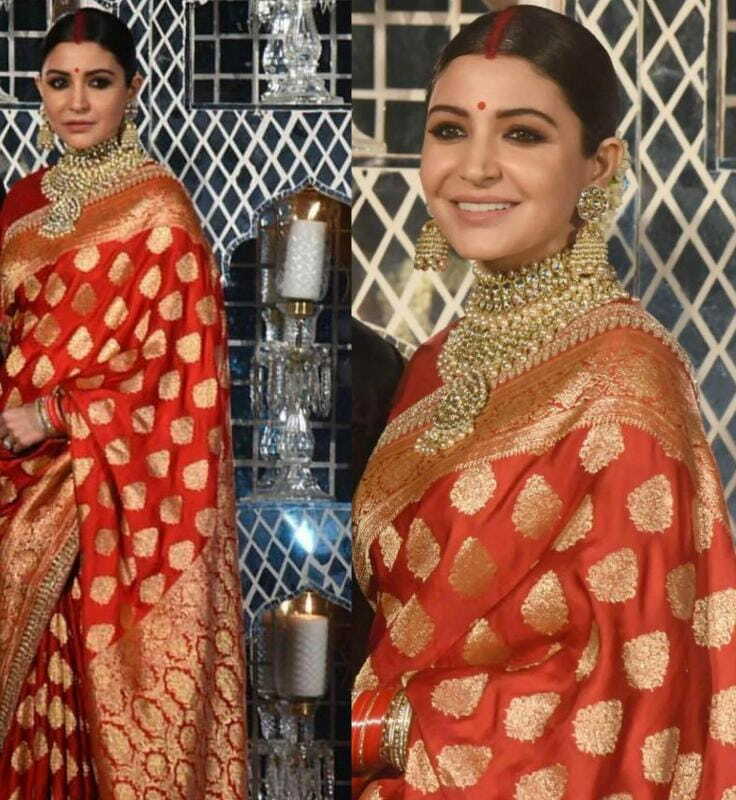 Let’s start with Anushka Sharma wearing this beautiful red Banarasi saree on her wedding reception. It looked so royal and beautiful. 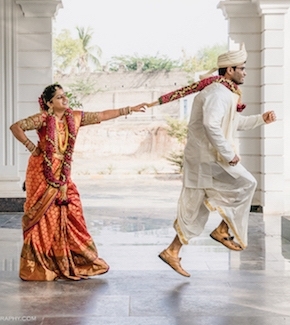 Having a grand wedding still the quirky child in you wants something more? Go for the trendy yet beautiful Bandhani saree. It is light, beautiful and comfortable. Pick the happy colour yellow and it will definitely make you look stunning. These sarees are specially made in Rajasthan and Gujarat and have the special touch in it. You can always opt for these beautiful Bandhani bridal sarees for your pheras. Originating from a small town called Chanderi from Madhya Pradesh, Chanderi sarees are the perfect blend of silk and cotton making it lightweight and too comfortable. If you are exhausted with all the rituals and don’t want to don on those heavy sarees, this is a perfect go-to for you. They are very comfortable during the summer time as they have the translucent structure. 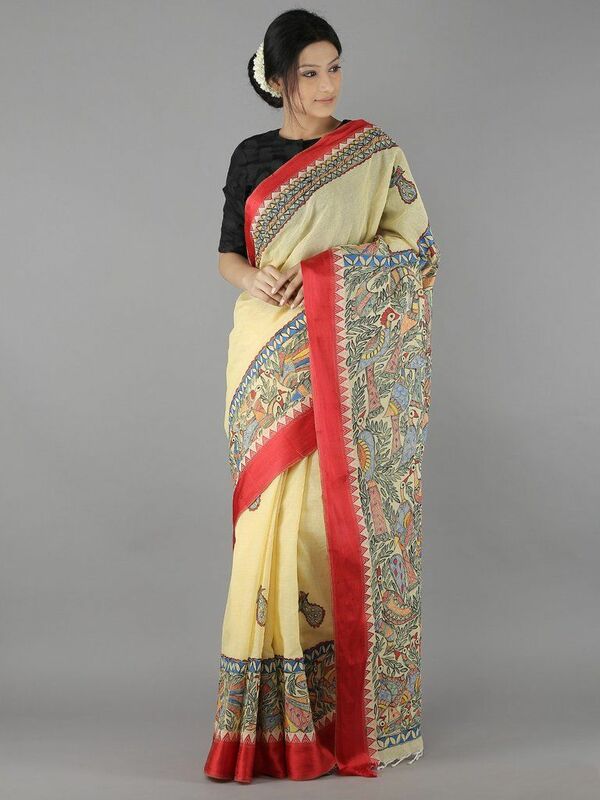 Originating from Murshidabad, West Bengal, these silk sarees are made on power loom and have a lot of textures. They look royal and are perfect bridal sarees. They intricate textures on it look so beautiful. The cloth is definitely lustrous and makes a beautiful bridal saree. Coming from the Andhra Pradesh, these lightweight sarees are a mix of cotton and silk giving it a shiny finish. It looks royal and sophisticated. They are woven in a close-knit gauge with light golden zari borders, it perfectly drapes around the body for a light yet royal look. The Madhubani Paintings are very popular all over the world. Coming from a small village named Madhuban in Bihar, the Madhubani paintings are now a trend and people love it to get them printed on dresses, bed sheets, curtains and what not. They are completely handmade. The beautiful Madhubani print sarees are definitely one of the most unique bridal sarees and would look really very elegant. We all are in love with the idea of sarees. There so many beautiful bridal sarees which can make you look like the perfect bride on your wedding. You can always opt for these beautiful, gorgeous yet comfortable sarees for your pheras.